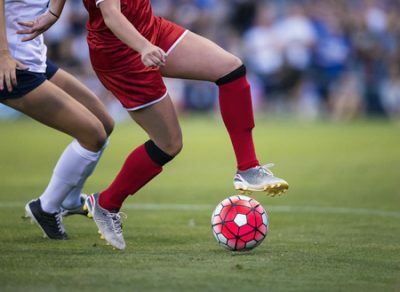 With the booming world-wide popularity of women's soccer, Sport and Exercise Scientist, Dr Ajmol Ali sees a pressing need for research into performance in female players and what affects that performance. The Sports Science team's study is designed to examine the effect of moderate caffeine ingestion on a player's physiological and skilled performance. In order to quantify the specific effects of caffeine on performance, Dr Foskett's colleague, Dr Ajmol Ali, has developed a validated soccer skills test for players which the pair will use to measure the effects of caffeine during a simulated game.